7:00am, the alarm clock went off, a zombified effort to get ready and leave at 8:00am was somehow accomplished – and so the day began. 1st stop was to acquire petrol, 98 premium from BP. I used less than half a tank throughout the whole day! Although it was not a cold day, this amazing TVR was using some much needed tire warmers to eliminate those warm up laps. The sports bikes were out in numbers, personally it’s not something I will do anytime soon. The nerves start to kick in, as this line gets longer and longer, a massive 30 or so cars on the track at a time can make it a bit distracting if it’s your first time on the track. Pukekohe Park Raceway is located in the heart of Pukekohe, Auckland. Recently the Raceway received a $6.6 Million dollar revamp, this included: revised barriers, run-off areas, tyre walls, transition kerbs and gravel traps with a hairpin at the end of the back straight. A mix of Japanese, European and American turned up to race/watch/help/support/pit. This TVR – WOW – By far the fastest car on the track without a doubt, also offtrack time when it was pitted up was interesting to watch, with generators, laptops, and tire warmers, just being a few things lying around. With massive speed, comes the need, for massive down-force, as shown by this yellow Silvia. As we can see it was even too fast to capture on camera. 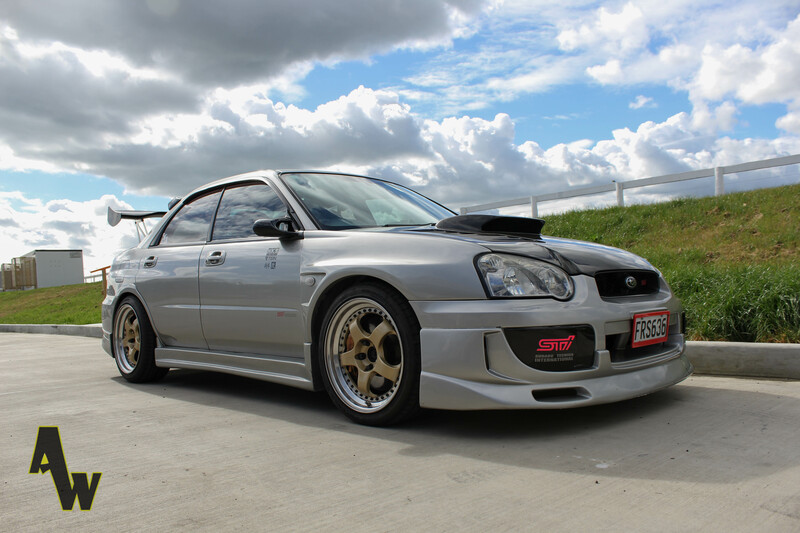 This Commodore was also another beast at the track day, the roar alone made you want to jump out of your skin. Although it wasn’t really a race day, people still pushed the limits among their friends, Henry and this S2000 battling it out before the hair-pin hit. Sky turned up in his 570Z, but you wouldn’t guess what happened to it next. A wheel fell right off… bouncing up and hitting the tube frame. Turns out that the spacer nuts weren’t tight. These engines are so crammed pack that I wouldn’t know where to start if something was to break. This NSX was really something special, 3L with 250Ks on the clock and it still goes hard. I was lucky enough to ride shotgun for a few laps – 200kms down the straights, what an amazing feeling. With great speed though, comes accidents some more lucky than others, with just a little bit of dirt in the wheels of this Silvia. Throughout the day more and more cars started to arrive and race, including this very different blue 180SX with orange wheels. While this was my first time on the track and all, plus being on a budget, I had to use whatever tires I could find on the cheap. At the end of the back straight I came in too hot and spun right out, I must say it was fun. Sometimes people come along to spectate and their daily cars are just as interesting as the ones out on the track. A few ‘special’ guests came today to join in on the action. Including the E&H Motorsport S14.5 Although it is the same s-chassis as mine, I had no chance of keeping up. This was one of my favorite static shots of the day. Silver on Gold, hard to beat. Another special guest was the Burger Fuel Evolution, but whats that sticking out of the back? Pukekohe has a sound limit because it is not in a rural destination like Hampton Downs. This means that a 95db sound limit is put in place, and here we have the enforcer. 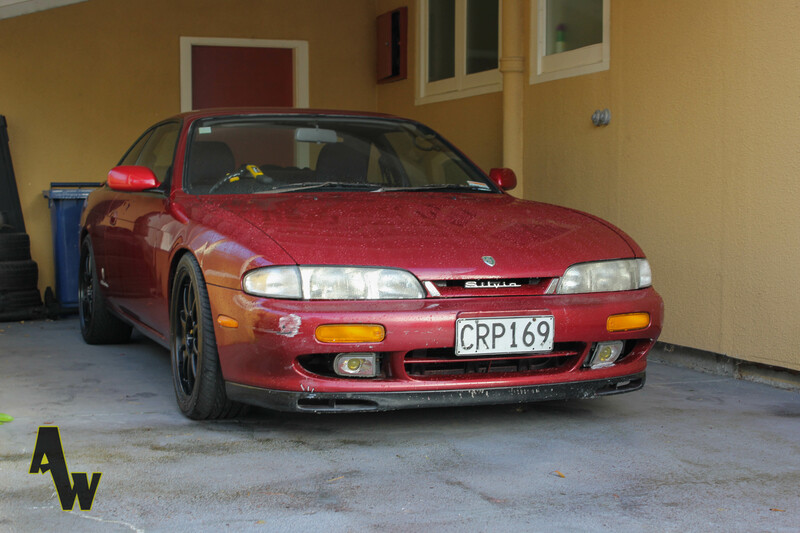 My Twin – My other half – +T version of my S14, pretty much identical apart from the wheels. Here it is! This is what was sticking out of the Burger Fuel Evo. A bit of piping to decrease the sound output of the vehicle. This was probably a shocking experience for the driver, hitting the concrete barrier is never a nice experience, especially when it totals your pride and joy. 12 years ago I saw the movie the F&F, today that movie comes to life as I raced around the track in my own race ready car. It honestly doesn’t matter how much money you have or how fast your car is, you can have fun with anything, its the atmosphere that creates the memorable experience. As people started to leave the race track, I went for one last run. Unfortunately on my last lap I went on to the back straight and saw a car had under-steered into the wall. Heart goes out to you and anyone else that gave their cars battle scars. Before the bikers left they lined them all up to take some celebratory picture, not one of the feel off, I suppose that motorbikes are safer than cars after all! GREAT !!! Thanks for coming ~!